Make no mistake about it: The Roth IRA is one of the most powerful – and most popular – retirement planning vehicles to come down the pike. Payouts you take from a Roth that you set up at least five years ago are completely exempt from federal income tax once you reach age 59½. Withdrawals you take even earlier still may be tax-free, at least in part, under generous IRS “ordering rules” (although a 10% tax penalty may apply). Finally, unlike a traditional IRA, a Roth IRA doesn’t require you to take out any money during your lifetime. Yet despite all of these potential benefits, Roth IRAs, which have been around since 1998, still may not be used as widely as they could be, and those who have Roths may not use them to their full advantage. Mistake #1: You think you’re not eligible for contributions. There are annual income limits on eligibility for contributing to a Roth IRA that are based on your modified adjusted gross income (MAGI), or the joint MAGI of you and your spouse. But you still may qualify for a full or partial contribution. And even if you don’t, you could put money into a traditional IRA and then transfer that money into a Roth. Since 2010 there have been no income limits on conversions from traditional IRAs to Roths. 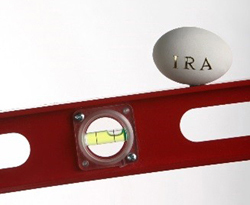 You will have to pay tax on the converted amount if you got a tax deduction on your contribution to the traditional IRA. Mistake #2: You think it’s too costly to convert to a Roth. There is that tax price to pay for a conversion, but it might not be as steep as you think. What’s more, a conversion doesn’t have to be an all-or-nothing proposition. A better idea is to use tax bracket management. For instance, suppose you’re normally in the 25% bracket and you have $250,000 in a traditional IRA. If you transferred the entire $250,000 this year, part of it would be taxed at rates well above 25%. However, by converting only the amount that will take you to the upper threshold of the 25% bracket, you can avoid paying at a higher rate. Then you could convert the rest in later years. Mistake #3: You make an excess contribution to a Roth. Watch out for the annual limits for Roth contributions. You’re normally allowed to contribute up to $5,500 a year if you’re under age 50. For contributors age 50 or older, the annual limit is $6,500. But it’s easy to exceed either limit if you’re not careful, especially if you contribute at several intervals during the year. The penalty for an excess contribution is equal to 6% of the overage and you have to pull the extra money out. But you won’t have to pay the penalty if you fix the problem before filing your tax return. Mistake #4: You take money out of a Roth when you don’t have to. For traditional IRAs, you must begin taking required minimum distributions (RMDs) by April 1 of the year following the year you turn age 70½—and then continue taking at least the RMD each year for the rest of your life. But RMDs aren’t mandatory with a Roth. Unless you need the money, the funds can continue to grow without taxes within the account. 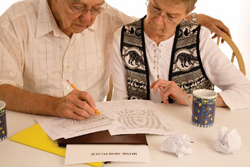 This can be a tax-efficient way to preserve assets for your heirs. When the beneficiaries inherit the Roth, they will have to take RMDs each year, but they shouldn’t have to pay taxes on those withdrawals. Mistake #5: You don’t name any beneficiaries or enough beneficiaries. This sounds basic enough, but surprisingly it’s a real problem among Roth participants. For starters, you should designate at least one primary beneficiary and several contingent beneficiaries who would inherit if the primary beneficiary dies before you do. Also, when naming beneficiaries, be sure to provide complete information about each person, including name, address, date of birth, and Social Security number. Simply listing “my daughter” or “my son” won’t suffice. Mistake #6: You pay the Roth conversion tax out of IRA funds. The beauty of both traditional and Roth IRAs is that the funds in your account compound without current taxes. However, using IRA assets to pay the conversion tax could be detrimental in the long run because this will reduce the amount that can accumulate inside your account. If at all possible, dig into your wallet for the conversion tax and keep the entire nest egg working for you. These are just some of the common mistakes we’ve seen Roth participants make. Ask for our guidance if you have any concerns.